The Dublin City Council event will provide a jam packed day of exhilarating fun for all the family in North Bull Island, Clontarf on Sunday 9th June 2019. 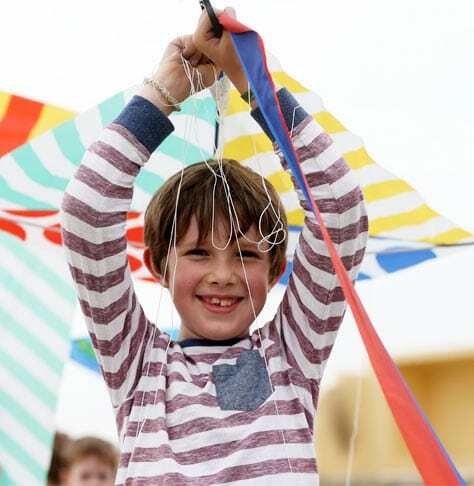 Last year’s Dublin Kite Festival attracted attendees from around the country, brandishing an array of kites ready to take to the skies and beautify the Dublin skyline with a jumble of colour. There was free entertainment all day long ensuring that attendees enjoyed a carefree Sunday afternoon reliving childhood memories of kite flying whilst having fun with friends and family. Whether attendees were brilliant kite fliers, or failing kite triers everyone got off the ground in the end as there were plenty of kiting experts ready to lend a hand. The day also boasted lively music, exciting games, kite making workshops and a kite flying competition! Want to know how to make a kite? Try this easy-to-build diamond-shaped kite. It will bring you hours of kite-flying fun!